R. M. Schindler, 1927. Photo by Edward Weston. Collection Center for Creative Photography. ©1981 Arizona Board of Regents. 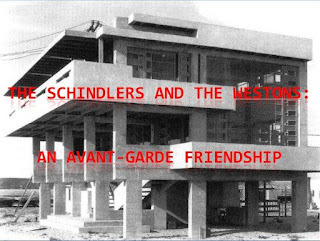 While researching for an essay on architect R. M. Schindler's connections with Galka Scheyer, Marjorie Eaton and the San Francisco art community I discovered that around the time Schindler met prospective client Eaton he also was entertaining two avant-garde filmmakers at his legendary Kings Road salons. 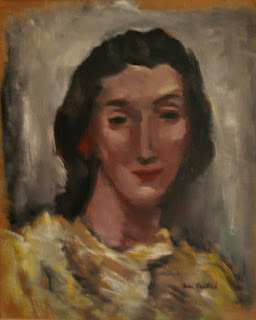 (For much more on the Kings Road salons see my "Pauline Gibling Schindler: Vagabond Agent for Modernism"). Marjorie Eaton ca. late 1930s. Head shot by Dorothea Lange. Courtesy Oakland Museum of California, Dorothea Lange Collection. Scheyer's introduction of artist Eaton (see above) into the Schindler coterie in 1928 (see below for example) where she met artist Boris Deutsch and soon-to-be Schindler client Slavko Vorkapich likely planted a seed for her late 1930s career switch to acting. 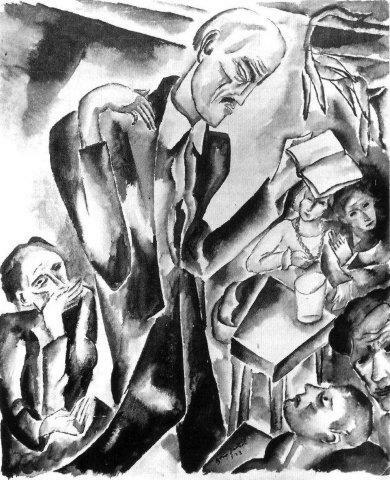 "Sadakichi Hartmann Reading Poe at Kings Road" by Boris Deutsch, 1928. 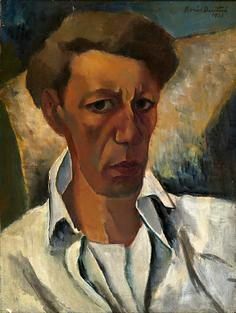 Boris Deutsch, ca. late 1920s. 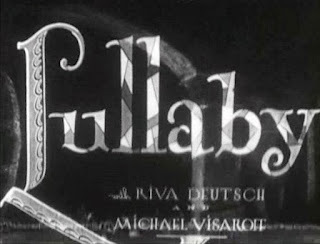 Title block from "Lullaby" directed by Boris Deutsch. Deutsch produced and directed the 15 minute one reeler "Lullaby" starring his wife Riva (see below) and Michael Visaroff in 1929. He designed the sets and art work himself for the $500 production. Stills from "Lullaby" by Boris Deutsch, 1929. From The Most Typical Avant-Garde: History and Geography of Minor Cinemas in Los Angeles by David E. James, University of California Press, 2005, p. 37. Eaton corresponded with Schindler from Taos in 1930 asking him to arrange meetings for her and her new artist friend James Morris with Deutsch and collectors Walter and Louise Arensberg. It was around this time that Eaton sat for the below portrait which she added to her growing collection of work by Galka Scheyer's "Blue Four." 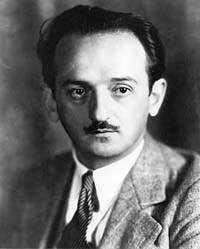 Slavko Vorkapich. From USC Cinematic Arts. Two years after producing and directing "The Life and Death of 9413: A Hollywood Extra" Slavko Vorkapich commissioned Schindler to remodel his Beverly Hills house in 1929, a project that did not materialize. In 1938 he hired late 1920s Schindler apprentice and 1934 Galka Scheyer House addition designer Gregory Ain to design and build a guest house. The following year Eaton hired Ain to design and build an adobe house on her family compound in Palo Alto. This will be discussed in depth in my upcoming "Schindler-Scheyer-Eaton-Ain: A Case Study in Adobe." 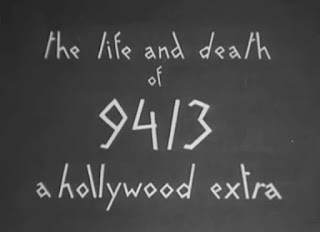 The title card from "The Life and Death of 9413: A Hollywood Extra." From Wikipedia. The $97 budget "A Hollywood Extra" was shot over several weekends in Slavko's kitchen using domestic odds and ends and edited in synchronization with Gershwin's "Rhapsody in Blue." (James, p. 39). 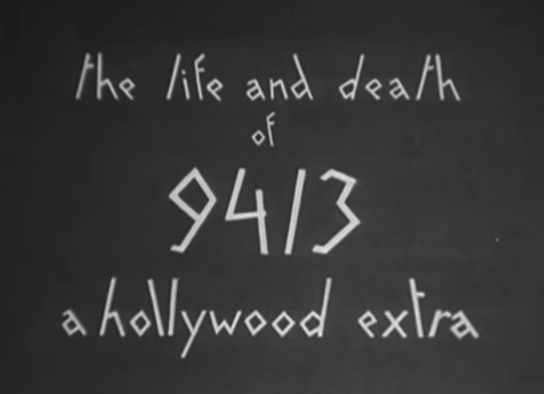 Stills from "The Life and Death of 9413 - A Hollywood Extra" by Slavko Vorkapich, Robert Florey and Gregg Toland, 1927. 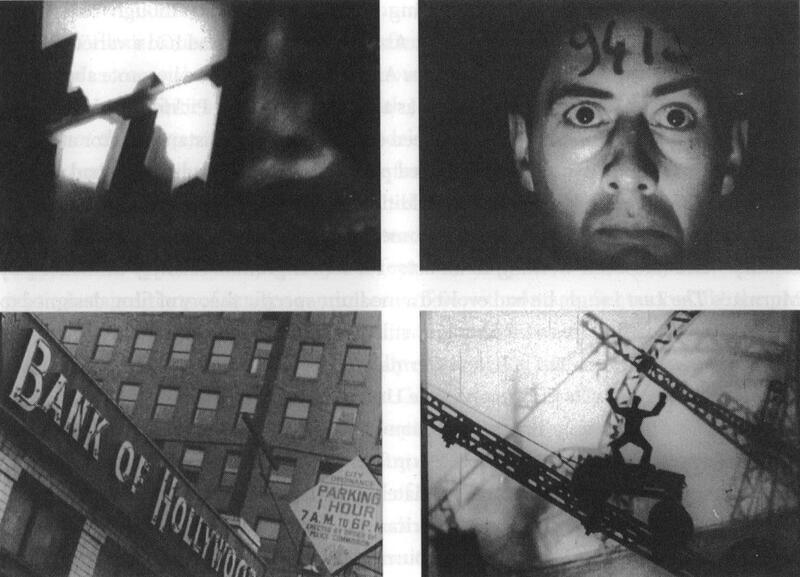 From The Most Typical Avant-Garde: History and Geography of Minor Cinemas in Los Angeles by David E. James, University of California Press, 2005, p. 41. All this will be rolled into my work in progress, "The Schindlers and the Westons: An Avant-Garde Friendship" (see below). Lovell Beach House, Newport Beach, R. M. Schindler, architect, 1926. Photo by Edward Weston, August 2, 1927. Courtesy UC-Santa Barbara Architecture and Design Collections, Schindler Papers.